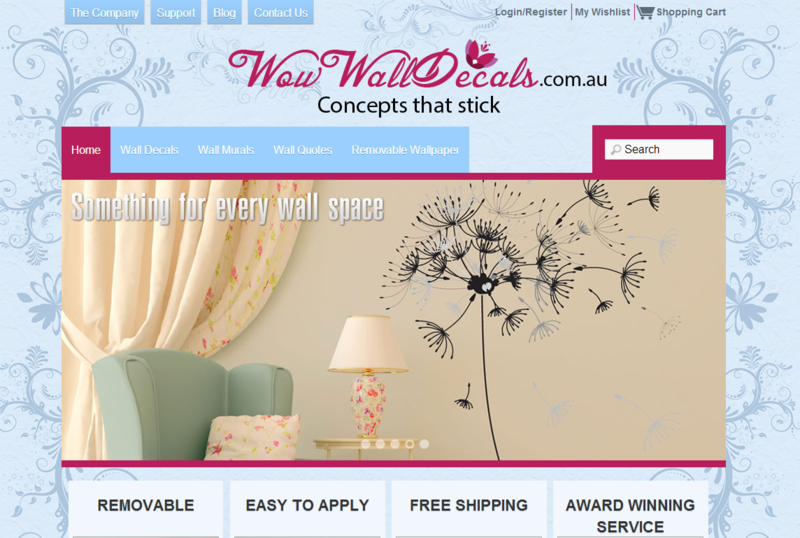 Introducing… Wow Wall Decals new site! 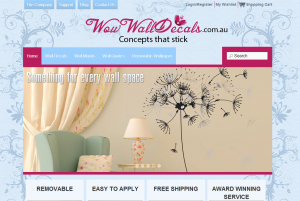 We’re pleased to introduce you to our new site, WowWallDecals.com.au. Wow – Words on Walls – brings you art that makes people happy. Here, you’ll find the highest quality wall art at unbeatable prices. Wall decals, wall murals, wall quotes and removable wallpaper; all describe quality, removable vinyl wall stickers, easy to apply, easy to remove, easy to move to a new place on a different wall – without losing their stickiness or leaving ugly residue on the wall. They’re a great way to give your room a beautiful new look. They’ll make you smile, by giving your walls a modern flair, without messy glues or pastes, without having to hire a contractor or go through the frustration of trying to hang paper, or paint, or stencil the walls yourself. Browse through our site to find the perfect look for your kitchen, bedroom, bathroom or kids’ rooms, order the look you love from among over 500 designs in a wide variety of colours and styles, then set up your order and check out – with free shipping anywhere in Australia or New Zealand and low, flat rate international delivery elsewhere. It’s that easy. And, you’ll always have access to our outstanding, award winning service. Register and set up your billing and shipping information and review your account details. If you want to share your ideas with your family before you make a decision, you can set up a Wishlist and save the selections you want to review with them there. We create wall decals and removable wallpapers that are the very best available in the market, in the most beautiful designs imaginable. Our wall decals won’t damage your walls, peel up at the edges or fade. They’ll go up on your walls in a jiffy, stay up and look amazing for years and years.